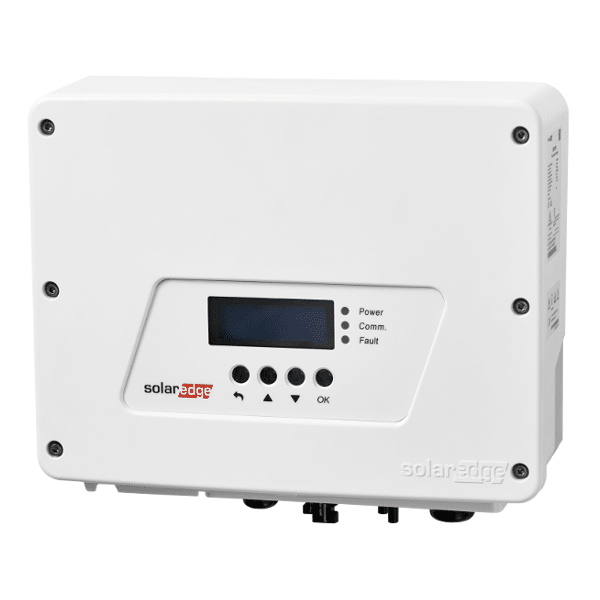 The SolarEdge SE4000H HD-WAVE 4kW Solar Inverter is specifically designed to work with the SolarEdge power optimizers. Because MPPT and voltage management are handled separately for each module by the power optimizer, the inverter is only responsible for DC to AC inversion. Consequently, it is a less complicated, more cost effective, more reliable solar inverter with a standard 12 year warranty, extendable to 20 or 25 years. The fixed string voltage ensures operation at the highest efficiency at all times independent of string length and temperature. In addition to its functionality as a DC-optimized inverter, the SolarEdge SE4000H HD-WAVE 4kW Solar Inverter also manages battery and system energy as part of SolarEdge’s battery storage solution. SolarEdge Technologies Inc. is a provider of power optimizer, solar inverter and monitoring solutions for photovoltaic arrays. These products aim to increase energy output through module-level Maximum Power Point Tracking (MPPT). The company has offices in the United States, Germany, Italy, Japan, and Israel. SolarEdge shares are traded on the NASDAQ. Founded in 2006, the company provides an intelligent inverter solution that has changed the way power is harvested and managed in solar photovoltaic systems. The SolarEdge DC optimized inverter system maximizes power generation at the individual PV module-level while lowering the cost of energy produced by the solar PV system. Join our ZERO Home Bills Community. BEST Solar Inverters from the BEST Solar Power Brands at the BEST Prices on ZEROhomebills.com by Solaranna. 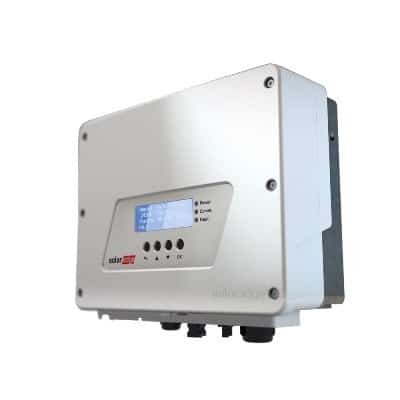 The perfect inverter for optimized pv systems.